While you may not realize it or think about it often, the trees you have on your property add a great deal to the aesthetic value of your property. People love the look of beautiful, majestic trees and get great enjoyment from the shade and privacy that they can offer as well. Of course, to help maintain the great look you have on your property, you need to maintain the trees properly to keep them healthy and at their best. To preserve the look of the trees you have, you want to engage a professional service like ours at Your Way Tree Service, Inc. to help you with tree trimming in West Hills. Tree trimming is a great way to help improve and maintain the health of your trees. When the tree is trimmed, the dead branches of the tree get removed. This removal can help stimulate new growth of the tree and remove any branches that could be harmful to the tree now or in the future. Paring away these dead areas gives the tree a chance to thrive once again so it can continue to look its best all the time. When you hire us at Your Way Tree Service, Inc. to assist you with tree trimming in West Hills, the service we provide for you goes a long way to help you keep the tree safe. Trimming is often needed to help get rid of areas of overgrowth of the tree. This trimming is important not just from an aesthetic standpoint, but from a safety standpoint as well. Large, overgrown limbs and branches can be hazardous to people passing by and to your property, threatening areas of your home or your power lines. We can trim back these branches so that the tree maintains its great look and poses less of a threat. There is never a bad time to think about tree trimming in West Hills on your property, and here at Your Way Tree Service, Inc., we are just the service that can help you. We can come to your property and perform an evaluation of your trees to let you know what we can do to help keep them looking their best and thriving for you. 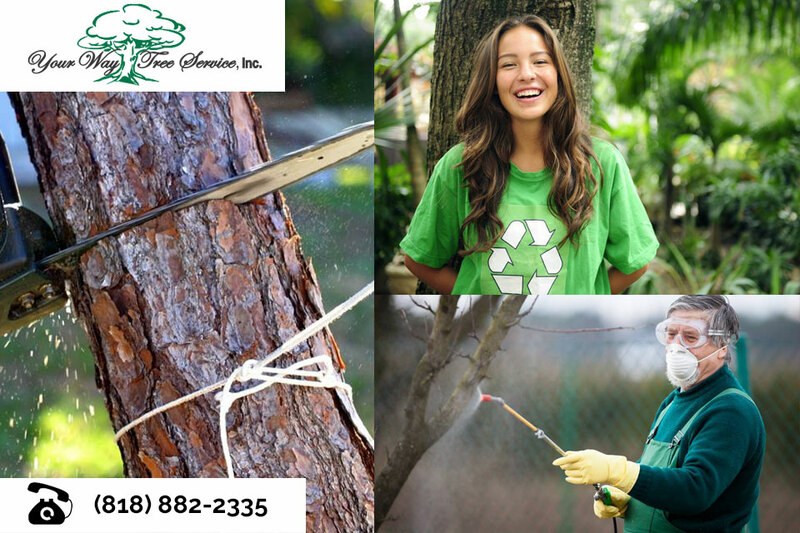 Contact us by calling 818-882-2335 so you can schedule your evaluation and get to work on helping your trees preserve the look of your property.